Super Spin Tanks is a game of skill, timing and on-the-fly tactics, built to offer a thrilling 2-player contest. 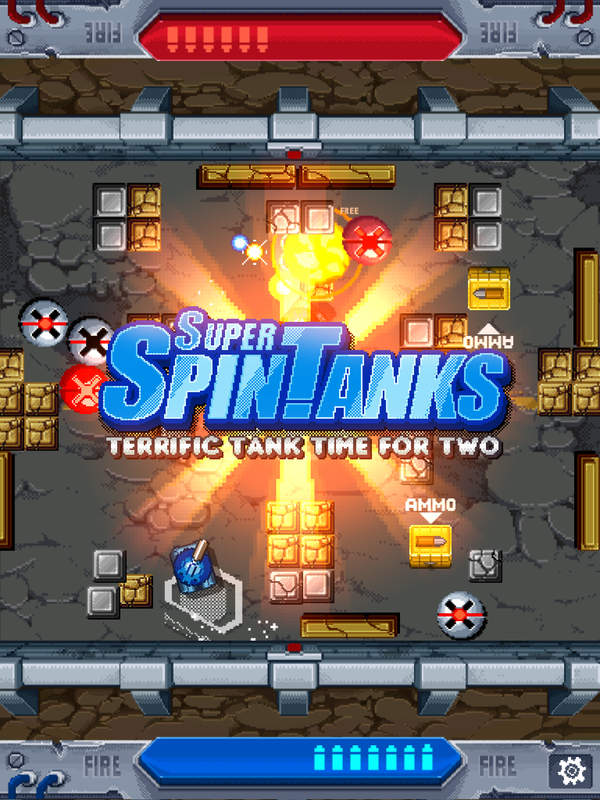 Get ready for an intensely competitive two–player only, face-to-face showdown! 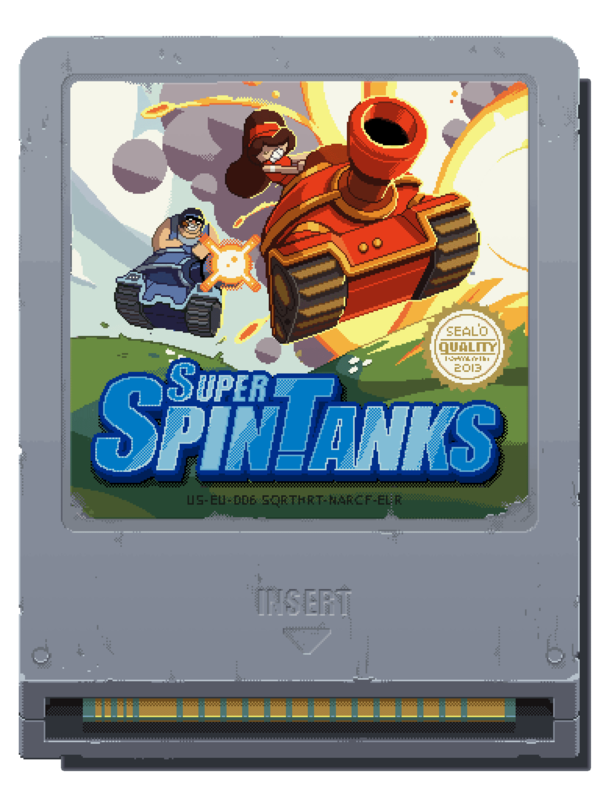 Master the fabled Spin Tank – a perpetually spinning tank of mayhem – use every ounce of skill, timing, cunning and finger finesse to defeat your opponent. Designed for the iPad, players control either end of the screen – manoeuvre, out wit and out play your friends over 6 rounds of intense action. Throw down a challenge on the go, or run your own tournament to prove who really is the ultimate Spin Master! -- Only 1 measly dollar! Warning this game requires a little more of you than most - Mastery of the touch controls, timing, and observation are key to playing competitively. Are you ever going to put it on android? I'd love to play it but I dont have an IOS device. Looks fun though! I may do that! There is some tinkering required to get the game resolution independent. I think the game looks pretty good! Can't wait until I get an Apple phone LOL!